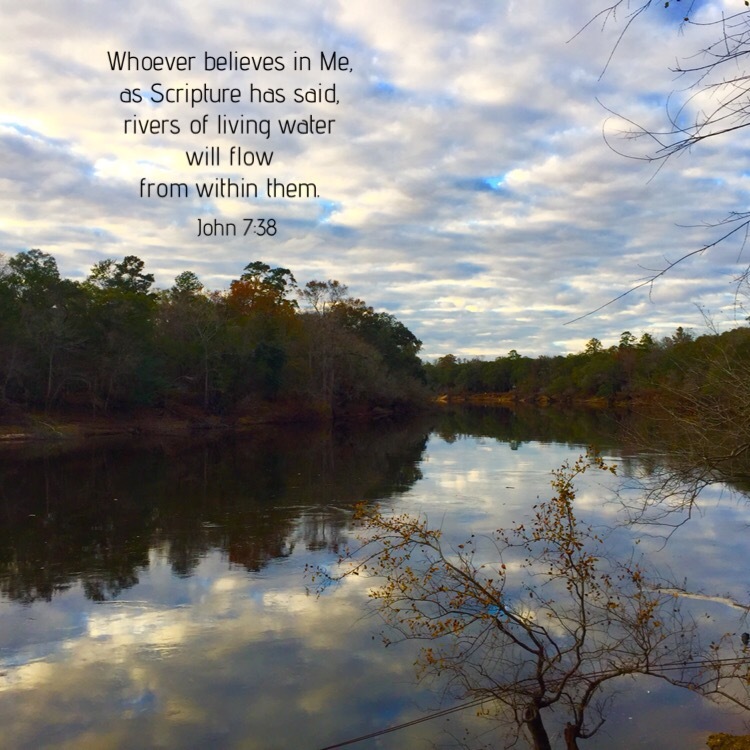 This weekend, I am attending a ladies retreat on the Suwannee River. A place where I can ponder my life and who I am. As believers, we have rivers of living water flowing from within us. May we always share this love of Jesus with others.